* Mariell's top selling bridal comb is this breathtaking array of white and ivory pearls, seed beads and Swarovski crystals accented with soft rum flowers. 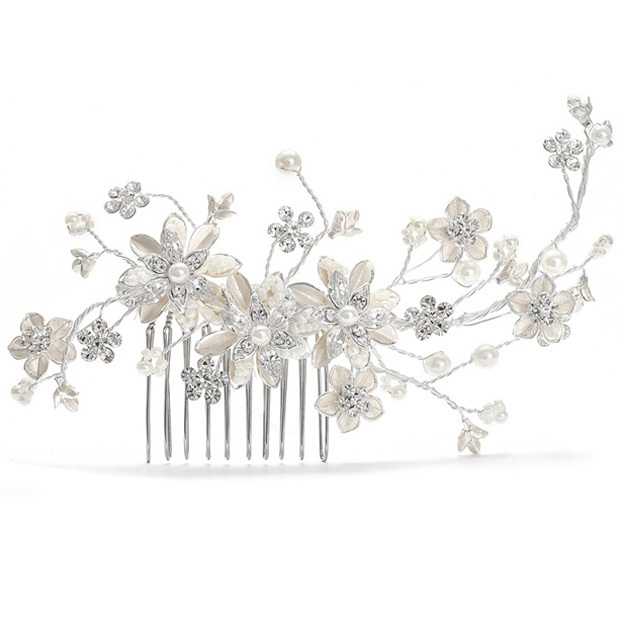 * This intricate comb measures 5 1/2" w x 2 3/4" h and has brushed silver petals with delicate silver sprays. 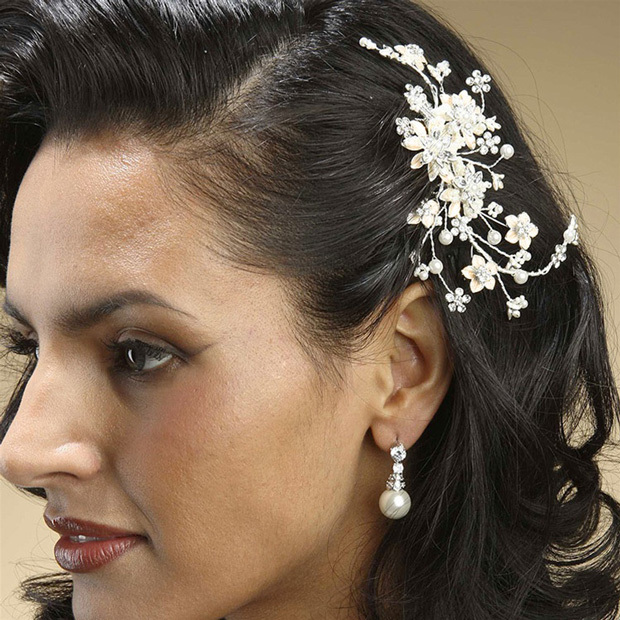 * This romantic Mariell headpiece is a bridal favorite!